Challenge # 9 is a mother,s love. This theme can be for anything to do with Mums, be it cards, or LO's with photos of your mums or yourself and your children, or any other form of paper crafting. It would be great if you could join us. This is my DT entry for this months challenge.I would like to thank my friend Kate Martin once again for the use of her adorable stamps . 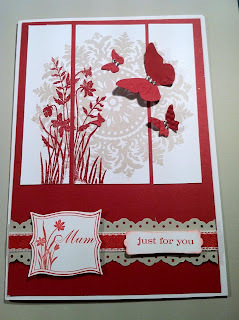 Hello Lynn, this is just gorgeous, I love the beautiful design of your card and the great colour combination. Your card is beautiful and is in my favourite colours too! Love looking at your new designs and following you on Pinterest too! What a gorgeous card. 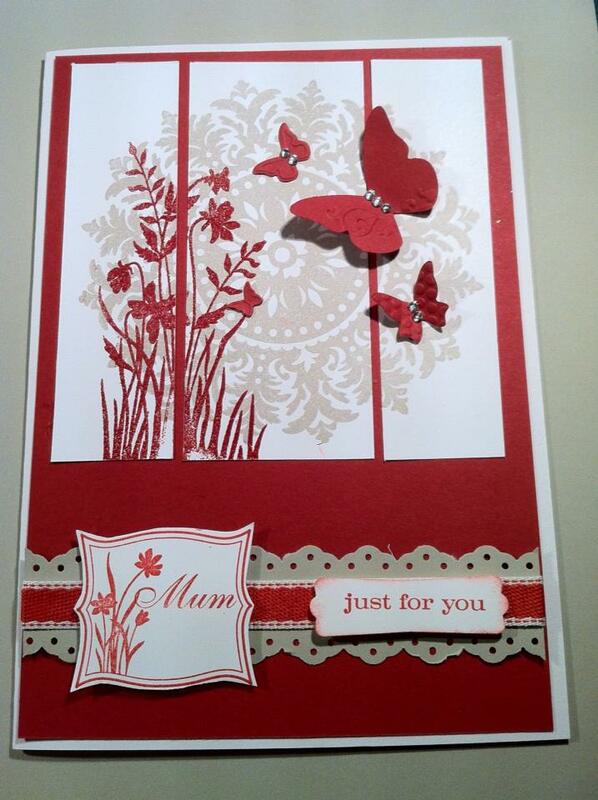 I love the colour scheme and the way you've layed out the stamped image and dimentional butterflies. I happily loan you my beautiful stamps as you make such beautiful creations, liked this one, with them. Such fabulous design and detail. Such a beautiful creation. Love the fabulous detial.